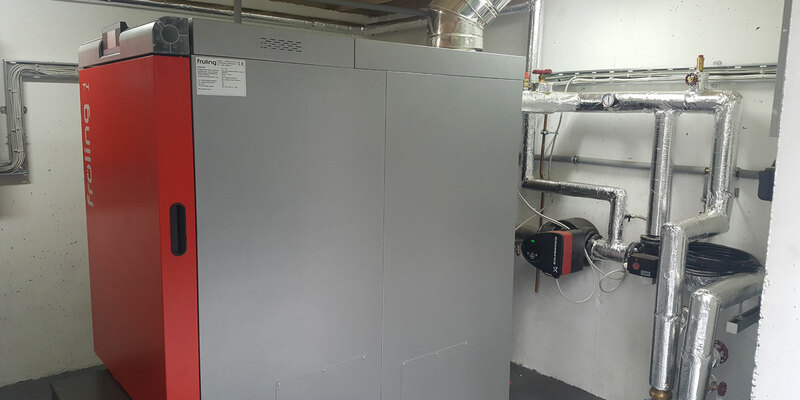 boilers in the Republic of Ireland. 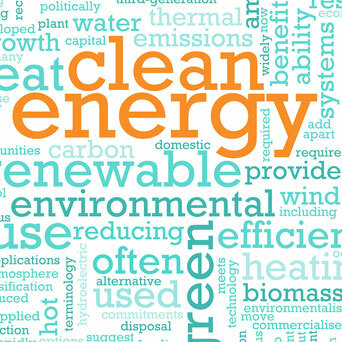 Clanabogan County Tyrone in 1998-99.
comply with agreed EU targets for 2020 and improve future energy security. 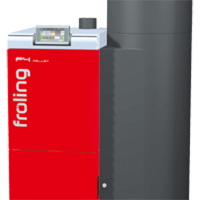 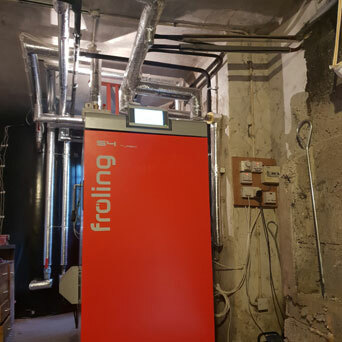 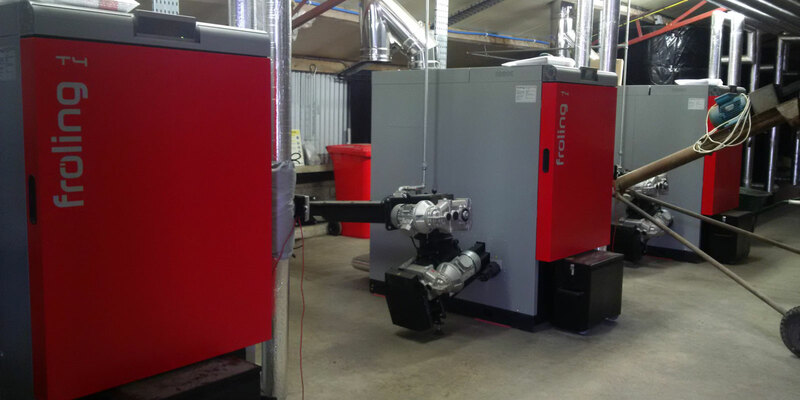 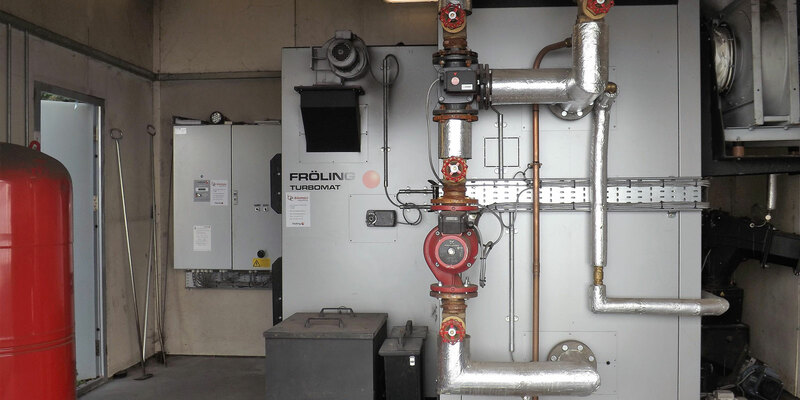 The Fröling T4 boiler can efficiently burn both wood chips and pellets due to its well designed fully automatic system. 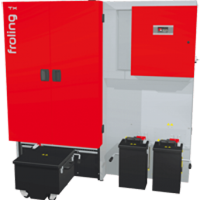 Unpack; plug it in, start heating. 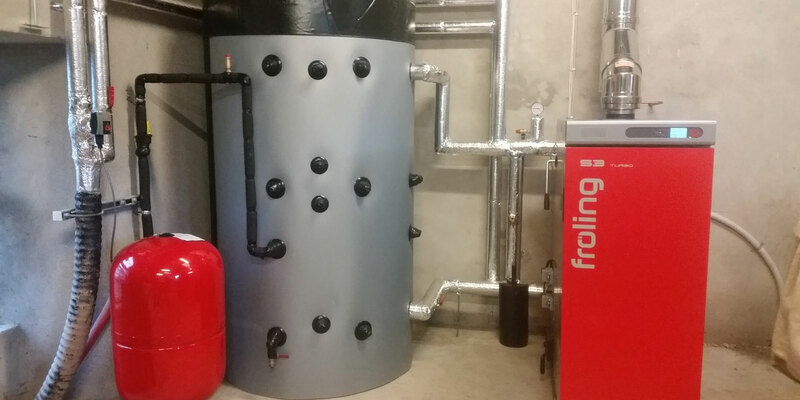 You will be impressed with the P4 Pellet as soon as it is installed in your boiler room. 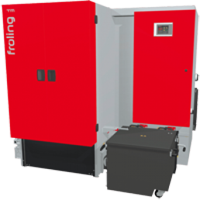 All Turbomat functions are fully automated, from the fuel feed and combustion control, right through to cleaning and ash removal. 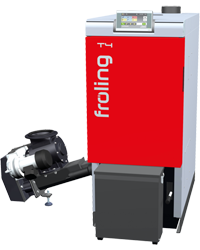 User friendly, sturdy, economical and reliable: the Fröling TX is guaranteed to impress in every aspect. 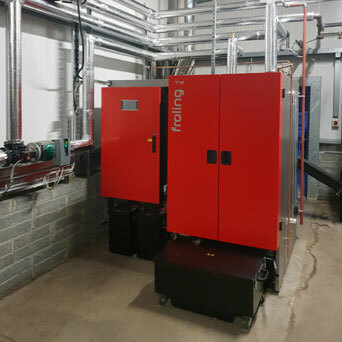 Once the system has been installed we provide an expert commissioning service to ensure the system integrates with any existing system effectively and efficiently.